Robots - Because humans deserve better. Since 1950, inventions have revolutionised the way we live. Radio, Telephones, Television, Computers, Washing Machines - we've come a long way. Whats the next big thing? Robots. Of course. Research along humanoids has picked up momentum lately. Huamns are two-legged - an evolved system over millions of years. 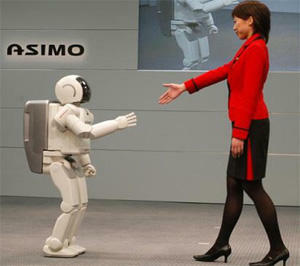 And, why not a two-legged robotic platform to live with us! As primary as it appears here and there, layouts are click here the framework for all fruitful written work.